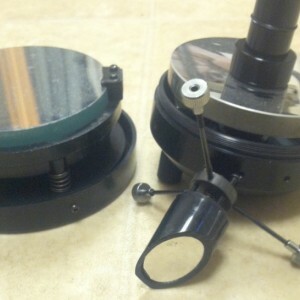 → Mirrors, Cells, Seconday, etc. 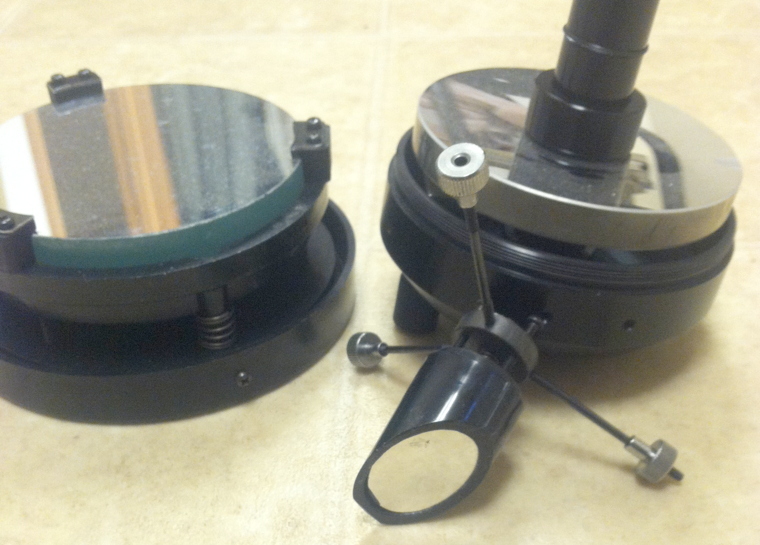 Mirrors, Cells, Seconday, etc. Sold! Mirrors, Cells, Seconday, etc. 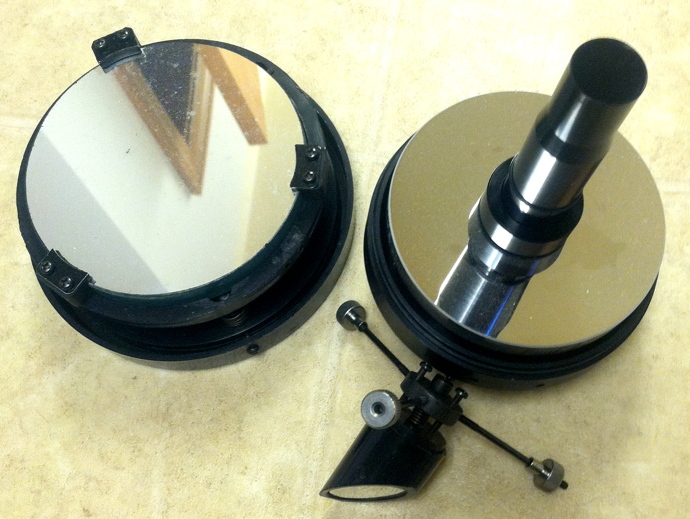 - - 4.5" f8 mirror and secondary with adjustable mirror cell and secondary holder and spider. These need new coatings. 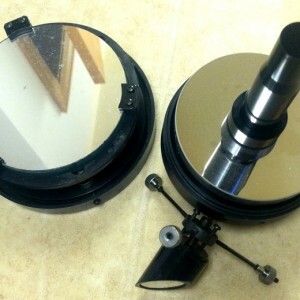 4" SCT mirror and complete telescope back including focuser. Coating on this mirror is pretty good. $20 plus $13.95 postage in a medium flat rate PO box.